ONCHAN, Isle of Man – December 28, 2016 – After 13 unforgettable years of sun, sand, and seven-figure prizes, the PokerStars Caribbean Adventure will evolve into something even bigger and become part of the PokerStars Championship, set to be the world’s biggest and richest global poker tour. Thousands of players will make their way from across the world to the sun-drenched Atlantis Resort in Nassau for the 2017 nine-day Bahamas poker extravaganza, which will run from January 6 until January 14 and features an action-packed schedule of tournaments, cash games and activities, sponsored by PokerStars, an Amaya Inc. (Nasdaq: AYA; TSX: AYA) brand. The $5,000 PokerStars Championship Bahamas Main Event field will include more than 259 online qualifiers, including a record 135 players who managed to turn just $10 into a $10,565 prize package by playing fast-paced special edition Spin & Go tournaments on PokerStars. A wide range of satellites and qualifiers have been running daily on PokerStars giving players a variety of ways to win their seats into the Main Event. The last Bahamas satellite will take place at 14:30 ET tomorrow with one package guaranteed. The 2017 Bahamas stop is even more significant this year as it marks the first ever PokerStars Championship. The PokerStars Championship Bahamas will be one of the most prestigious events on the poker calendar and will bring a world class poker experience to the Bahamas for poker enthusiasts and pros alike. Among well-known players and celebrities set to compete for the first PokerStars Championship title are professional golfer Sergio Garcia and Team PokerStars Pros Daniel Negreanu, who is the highest-earning live tournament player of all time with more than $32 million in winnings, Jason Somerville, Vanessa Selbst, Andre Akkari, Jason Mercier, Liv Boeree, Fatima Moreira De Melo, Bertrand 'ElkY' Grospellier, Chris Moneymaker, Celina Lin, Barry Greenstein, Victor Ramdin, Jake Cody and Felipe 'Mojave' Ramos. PokerStars TV will broadcast much of the action of the PokerStars Championship Main Event with coverage beginning on Day 2 (January 10) and continuing throughout including a cards-up final table on January 14. Hosts James Hartigan, Joe Stapleton and Matt Broughton will be mixing up live commentary and studio guest appearances with quizzes, promotions and much more. The stream will be available in a wide number of languages, on desktop and mobile on PokerStars.tv, Facebook, YouTube and Twitch channels. For the full schedule go to: http://psta.rs/1uAdcY7. 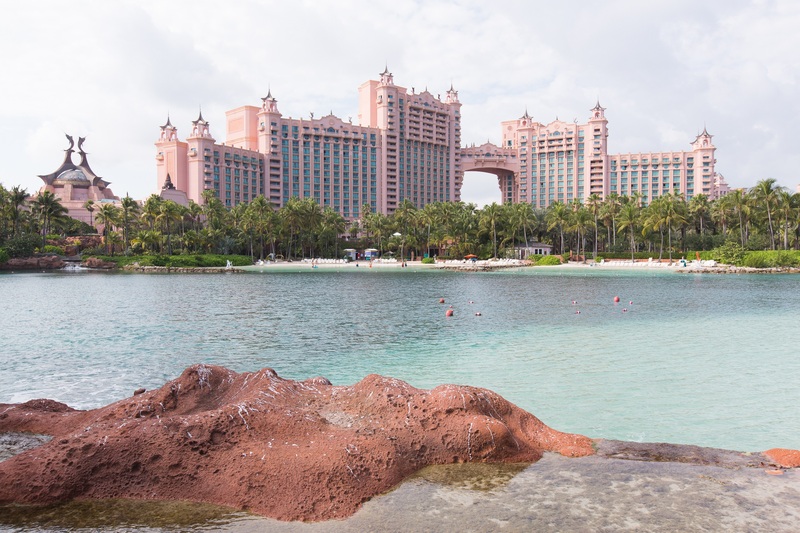 PokerStars Championship Bahamas will feature a host of fun, dynamic formats and variants including the $220 PokerStars Open (event #47), $100,000 PokerStars Championship Super High Roller (event #1), as well as the $50,000 Single Re-Entry (event #35) and $25,750 PokerStars Championship High Roller (event #66). A number of big name poker players and Team PokerStars Pros are looking to claim this year’s crown from Canadian Mike “SirWatts” Watson, who won the $5,300 Main Event last year for $728,325 defeating a field of 928 players. The full PokerStars Championship Bahamas schedule is available online here. #StarsFun activities taking place at the event include virtual reality gaming stations with a chance to win daily prizes, AFC/NFC tailgate & squares competitions on January 7/8 including a free football squares competition with great prizes to be won, a special 3 v 3 basketball competition on the Atlantis courts with the winning team receiving $1,000 in tournament credit each, and the official players’ party taking place at Aura Nightclub at Atlantis on January 13. The always popular ‘Breakfast with the Pros’ Q&A sessions will return to the event with a wide range of topics to chat through with well-known players. This is an opportunity for players and media to ask pros and celebrities a question or hear them give tips and advice on the game. Team PokerStars Pro Daniel Negreanu will run a Q&A session before play starts for the $5,000 PokerStars Championship Bahamas Main Event. The Q&A, which will be open to all players, guests and media, will focus on adapting to, and dominating, live poker. Note to press: For a short video about PokerStars Championship Bahamas that you can use in articles, go to: http://bit.ly/2i7uvm9. For information about PokerStars Championship Bahamas, click here. The PokerStars Championship, sponsored by PokerStars, is the world’s richest and most popular poker tour. Bringing together some of the world’s most exciting and prestigious poker tournaments, the PokerStars Championship incorporates some stops previously part of the European Poker Tour, North American Poker Tour, Latin American Poker Tour and Asia-Pacific Poker Tour. Collectively, these events have paid out well over $1 billion in tournament prize pools globally on five continents since 2004. Confirmed PokerStars Championship stops announced so far in 2017 includes the Bahamas, Panama, Macau, Monte-Carlo and Barcelona, with more stops to be announced in the coming months. PokerStars Festival events, sponsored by PokerStars, are mainly tailored for recreational players and incorporate some stops previously part of the UK & Ireland Poker Tour, France Poker Series, Italian Poker Tour, Estrellas, Eureka, Asia-Pacific Poker Tour and Latin American Poker Tour. Confirmed PokerStars Festival stops announced so far in 2017 includes London and Rozvadvov, with more stops to be announced in the coming months.